What a dream it was to spend three weeks with Tony over my Christmas vacation (one of four, two week vacations on the French school calendar… the French do it right!). We planned this trip in a pretty unconventional way. I really wanted to have a French Christmas and Strasbourg, the capital of Christmas, was a no brainer. 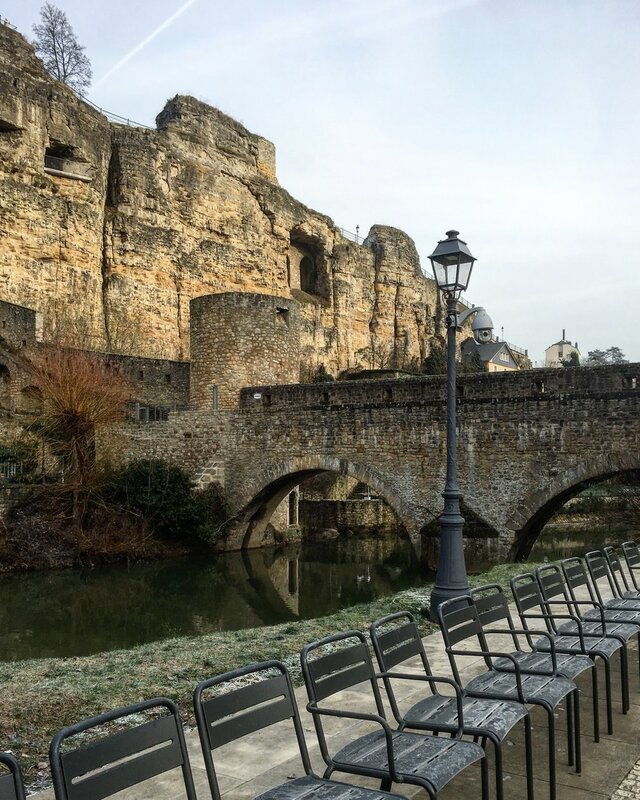 Read all about our very merry French Christmas here. Tony was excited to visit Groningen, a charming little city in the northern Netherlands. With our starting and ending points in place, we filled in a few other cities along the way including Luxembourg City, Cologne, and Rotterdam. Rather than give you our full itinerary, I’m going to recap our travels through a “best of” list. I hope you enjoy, and feel free to ask me if you have more questions about these cities that don’t always top travel lists. *Nothing I write is sponsored in any way - I just love sharing our travel experiences with you! Let me start by giving a shout out to Tony who is incredible at finding really nice hotels at really reasonable prices. We didn’t pay close to the rate I’m seeing listed today. If you can find a good price, we have had amazing experiences with Sofitel (we also stayed at the one in Chicago). Aside from incredible service and amenities (Hermès bath products! ), it was the view at this particular Sofitel that blew us away. Picture looking out over a gorge surrounded by medieval walls and spanned by arched bridges, with fairy tale-esque buildings sprinkled throughout the landscape. Unfortunately, I don’t feel that any photo I took does it justice so I’m going to link you to the Google view here. 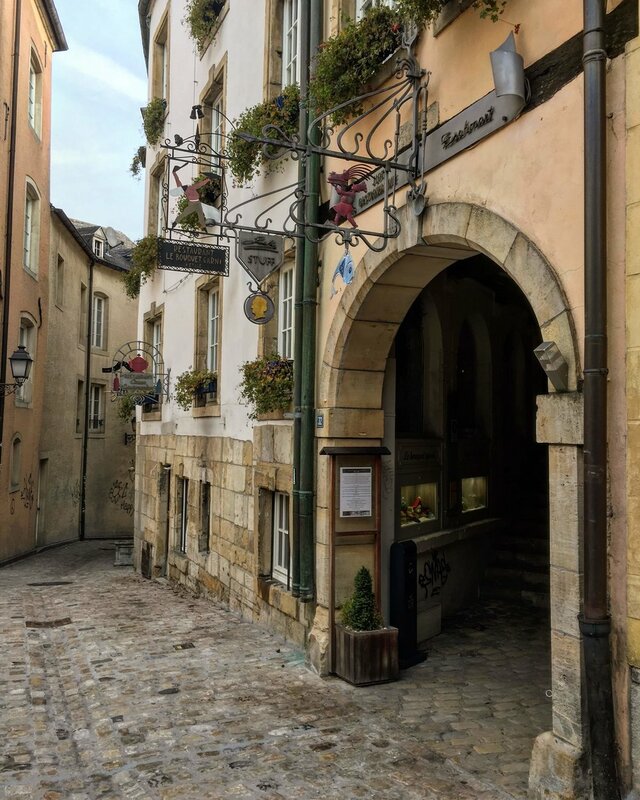 Liquid was a super cozy bar with a live blues band in the Grund neighborhood of Luxembourg City, and this was one of those non-replicable experiences that makes traveling so magical. When the bartender says “See you next time!” as you’re leaving after ending the night with a drink on the house, it’s something to remember. There’s nothing quite like feeling just a little bit at home when you’re away from home. … and because this experience could never be duplicated let me suggest a close runner up, Bonhomie in Paris. Get the Cefalù (crème de pistache à la vodka Ketel One • Sherbet de cedrat & figue • citron • blanc d’oeuf) - it’s incredible! Luxembourg City, Luxembourg - the writing on the wall says “we want to remain what we are” and was written during WWI when Germany wanted to make Luxembourg German. Oh Sonder, how I miss you! We discovered Sonder in the city guide provided by our hotel. The pictures online looked lovely so we decided to give it a go. What an experience! The interior was warmly lit with beautiful, simple furniture and lovely accents of greenery. We started with burrata served over a shaved fennel, citrus, and olive salad topped with fennel leaves. After two lovely entrées (the menu is rotating), we ended the meal with rum raisin apples, fresh ginger tea, and fresh mint tea. These fresh teas have now become a part of our every days. Another one of my favorite things about traveling - bringing small details back home with you. Bonus: You can buy the items used at Sonder at their sister store SCHEE. We picked up two plates and plan to recreate our burrata appetizer at home. I loved walking around the Innenstadt neighborhood where we discovered Fivve, a combination store, spa, and yoga studio that had an amazing selection of healthy cosmetics. At Look Conzept Store we picked up a sweet little bottle if Gin de Cologne. The label shows Cologne’s landmarks including the stunning cathedral and will make an adorable bud vase when the gin is done. The Market Hall in the Belgian Quarter was small but had a beautiful florist and was the perfect spot to stop for a cup of tea. Someone on Google reviews described Granit as the beautiful child of Muji and Ikea, and they were spot on. Such a fun place! A foodie’s paradise, you could find everything here from Dutch classics like gouda and stroopwafel to fresh fruit smoothies to a wide variety of pastries and sweets to Italian dishes at Jamie Oliver’s restaurant Jamie’s Italian. This street had over half a dozen coffee shops and cafés in less than a tenth of a mile stretch. We loved Holtbar Concept Store where we enjoyed more fresh ginger and mint tea and picked up an awesome Groningen print to add to our travel gallery wall. At Black and Bloom they took coffee seriously without being stuffy. I got a Toblerone latté. So so good. 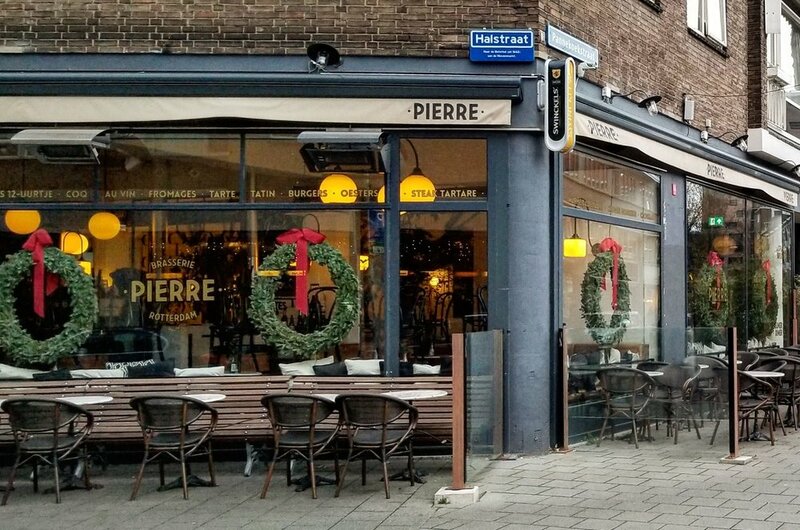 Incredibly close runner up: Pannekoekstraat (Pancake Street - how cool is that?!) 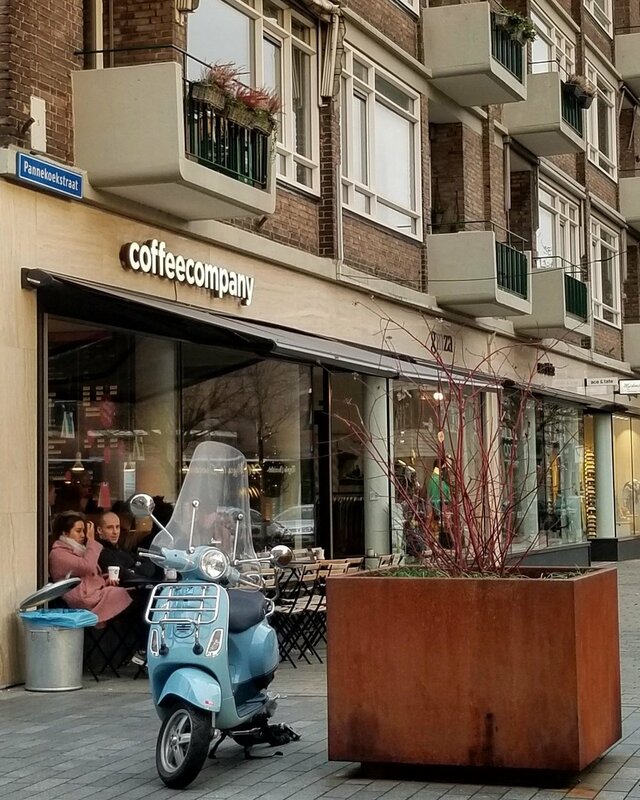 in Rotterdam, Netherlands where we made stops at Coffee Company and Brasserie Pierre (this is where we had our NYE dinner). I booked this when we realized we needed one more night than we had booked in our Airbnb. It was such a pleasant surprise! Our room had an incredible window seat with plenty of room for two and a view of the boats on the canal below. The coffee machine was the best I’ve ever had in a hotel room and was perfect for cozying up with Netflix and coffee on the window seat. We really didn’t want to leave! 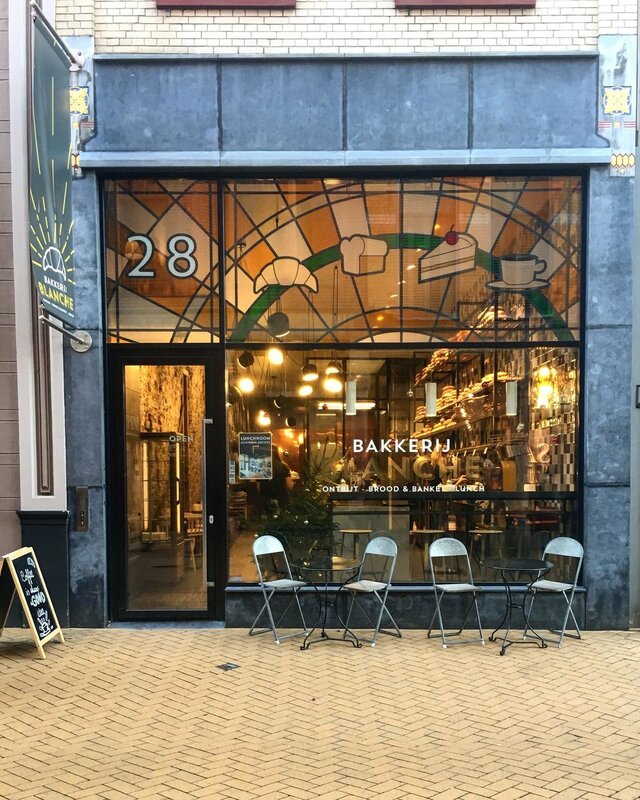 There was also Bakkerij Blanche, a gorgeous space right next store where we grabbed a nice lunch just after checking in. 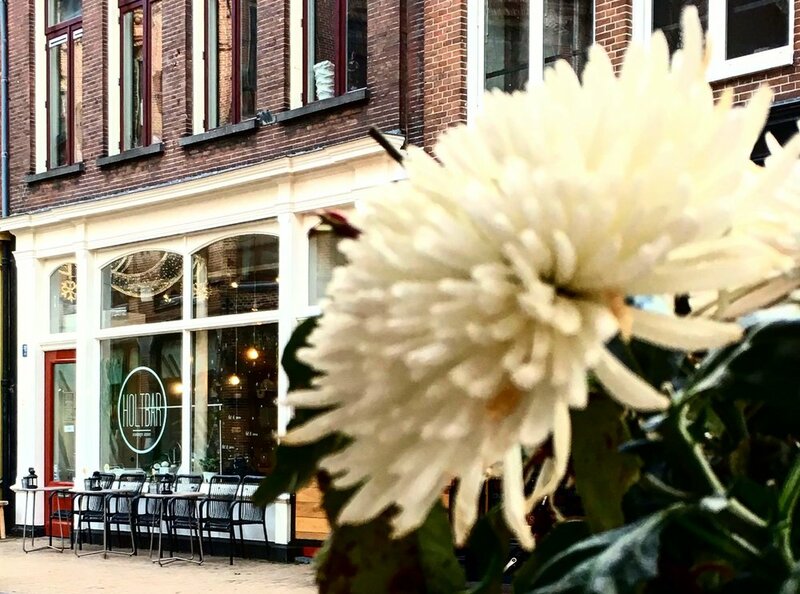 The Netherlands gets it when it comes to restaurant environments. They always feel just right. This was another café + concept store. I love when a space has two purposes. The apple tart was delicious, and my Americano was served with the hot water in a teeny tiny pitcher on the side. The almond milk was in a mini swing top glass bottle. I loved the attention to detail, and you could taste it in the food as well. It was really fun making this list and seeing that each city had two or three “bests”. No matter where we go, we find that every city always has something wonderful to offer. I think if we had to pick a best overall it would go to Groningen, Netherlands. The amount of charm packed into the small city center was incredible, not to mention that there are very few cars as it is a bicycle city. If you’re ever in the Netherlands I think it is well worth a visit! Along the canals in Groningen, Netherlands - the tallest pointed roof building is reception for Hotel Miss Blanche - it is an inviting place that instantly makes you feel welcome. Merci as always for being here and following along. I love that I have been able to connect with several of you and get to know you more. The genuine relationships built here are my favorite thing about this blog. Warmest of warm wishes from me to you!